Culture, Passion, Creativity, Diversity, Inclusive all key words that resonates within the ethos and values of Carol Hasaballa’s Hair Salon, based within the heart of this wonderful eclectic Liverpool community. Ladies lets talk….. We all know the dramas associated with finding that dynamic “miracle worker” with professional “person-centred” expertise who can transform your tired looking locks into a WORK OF ART to behold. 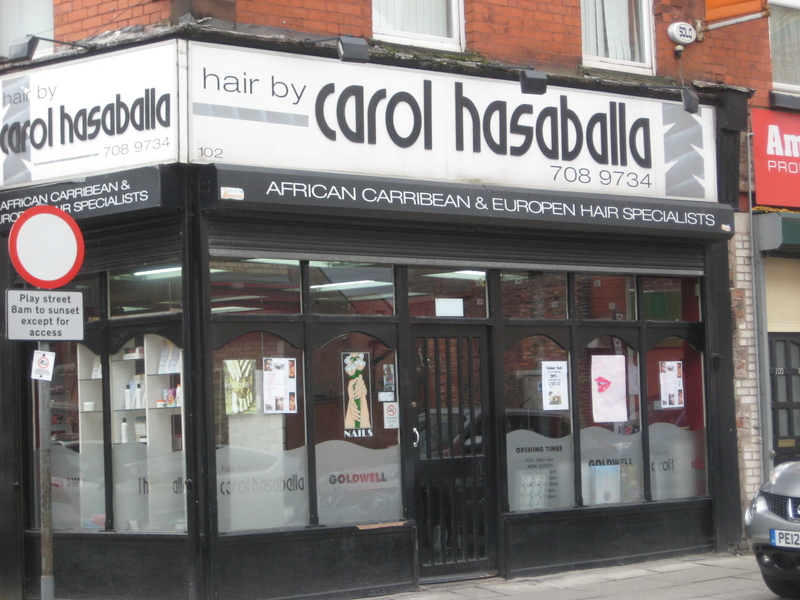 Carol Hasaballa has been in the hairdressing business for 24 years , based on Lodge Lane. Her clients are the composition of a “rainbow nation” requiring specific hair dressing skills, techniques, products (imported from America). Throw into the mix, cultural protocol along with a certain amount of linguistic skills – thus embracing and celebrating that notion of uniqueness for all her patrons. Having completed her professional training in European hair, Carol’s passion for her creative art caused her to question why clients with afro type hair with their specific needs, were limited in their Salon choices here in Liverpool. She duly set about gaining additional training in the management and treatment of afro type hair in Birmingham, Manchester and London, this complimented her knowledge of European and Asian type hair. Since those early days, Carol has gone on to expand her business provision by incorporating services to Muslim women, using a screened off area in her salon where their cultural needs associated with wearing of the hijab are adhered to. Teaching and sharing her craft within her own business environment , Liverpool Community College and at The Greenbank College, Sefton Park has been both challenging and rewarding for Carol. When asked what makes her Salon stands out from the crowd “passionate about Liverpool and in particular my local community where I was born, providing an excellent, value for money service to my very diverse client group, along with my thirst for knowledge on the many different hair types that may present in my salon” was her very proud and radiant response. So ladies, for that feel good factor that completes THAT LOOK. A special occasion, Light Night events, the theatre, a concert, a VIP media happening, an arts exhibition, joining your cruise ship at the Liverpool Cruise Terminal, or just simply pampering yourself to maintain that sense of well-being – need I say more?